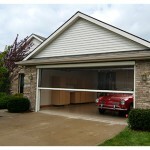 Homeowners without backyard sheds may be forced to store additional storage in the car garage. However, the garage can only hold so much. Soon cars have to be parked outside, and last summer’s camping gear suddenly becomes lost. Most homeowners forget about the ceiling, utilizing the ceiling can save a ton of space. Before looking for a new house with a shed, look up at ceiling. Installing racks to the ceiling can be simple and a affordable solution for storage. Some storage racks are open on all sides for easy access, while others are enclosed to prevent items from falling out. Racks come in a wide variety of widths and depths giving you freedom to store anything. With a pulley system you can store a variety of items overhead without using a ladder to get them down. 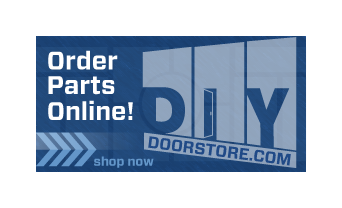 They are easy to install and all it takes is a simple pull to raise and lower storage. Pulleys can store anything from a canoe to a bicycle. Practical for items that get used sparingly (i.e. christmas tree or halloween decorations). The installation includes parallel tracking racks that support bins designed to slide in and out like a drawer. The enclosed space ensures items are safe from moisture and dust. For more expert tips on garages head over to Taylor Door and our professionals can help. 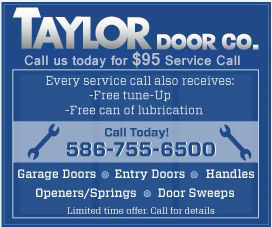 Visit Taylor Door website or call us at (888) 998 – 3667.